English and semi fluent in greek. 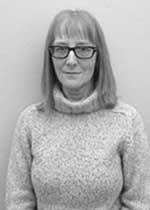 Dr Bruce qualified in Medicine in 1988 having previously pursued a career as a researcher in Bichemistry and her post graduate training was in the South West region. She worked as a Consultant Cardiologist and General Physician at Poole Hospital NHS Trust until the end of 2014 and is currently working part time a The Royal Bournemouth Hospital. Dr Bruce has over twenty years’ experience as a Consultant Cardiologist and General Physician and has also worked extensively in the community at a number of community hospitals. Syncope , PoTS and associated conditions, Vasovagal syncope, Medically Unexcplained cardiac symptoms. Dr Bruce is particularly interested in Syncope especially PoTS, Vaso-vagal Syncope. and Autonomic dysfunction. Dr Bruce is also interested in medically unexplained cardiac symptoms. Dr Bruce enjoys riding and driving horses and ponies and she has a small holding with horses, sheep and goats. She also enjoys walking and cycling. Dr Bruce is working with the PoTS UK group of clinicians on treatment guidelines for this interesting condition. Dr Diane Lesley Bruce does not hold a share or financial interest in this hospital, another Nuffield Health hospital or the company. Dr Diane Lesley Bruce does not have a share or financial interest in equipment used at this hospital or another Nuffield Health hospital. Dr Diane Lesley Bruce does not hold any paid advisory role(s) at this hospital or on behalf of Nuffield Health.